(l-r) Robert Wiggins, MD; Alex Zimmet, MD; Michael Gallagher, MD; and Thomas Ball, MD. Not pictured: Amy Cohee, MD, and Samuel Cross, MD. The Arnold P. Gold Foundation recently awarded its Humanism and Excellence in Teaching Award to six of our residents. This award recognizes outstanding humanistic teaching residents as identified by their students. This award is based on the residents’ exceptional teaching skills and commitment to the compassionate treatment of patients and families, students, and colleagues. The awardees are: Thomas Ball, MD (Psychiatry); Amy Cohee, MD (Surgery); Sam Cross, MD (Pediatrics); Mike Gallagher, MD (Medicine); Robert Wiggins, MD (Neurology); and Alex Zimmet, MD (Medicine). “I had Mike on my CCU rotation in April,” wrote one of his nominators, “when he was an intern and I was a floundering, newly minted third year trying to figure out the wards with some of the sickest patients in the hospital. Although I was afraid of the challenge at first, I can’t help but think of myself as extremely fortunate that I had Mike there to help show me the way. He was (and is!) extremely technically competent and knowledgeable for his level, according to multiple upper-year residents and attendings during rounds. He was also extremely humble, knew what he did not know, was always willing to ask for help, and never said ‘no’ to the opportunity to practice a procedure, serving as a wonderful role model along the way.” The nomination went on to highlight Gallagher’s respect, sensitivity, compassion, professionalism, and approachability. His advice to students: Keep a notebook and, each day, write down one thing they did that helped a patient each day, or one nice comment a patient gave to you. On tough days, it can serve as a good reminder why we are here. 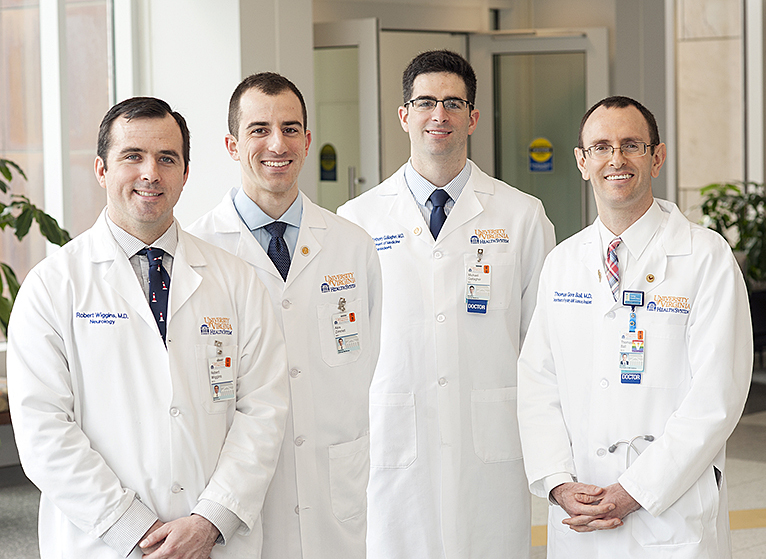 Please join us in congratulating these six residents and thanking them for their commitment to our medical students and our patients.